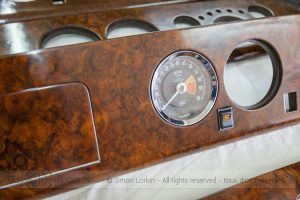 How is a metal or wooden dashboard or interior trim restoration project priced? How many items there are and how big are they? What finish is there already? Are there any changes to be made, such as size of radio housing? 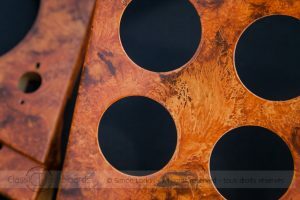 Does the veneer need replacing? Is the actual wood damaged? Please email (or post) me detailed photos of all the items to be restored. From good quality detailed photos I am able to give a ballpark figure. 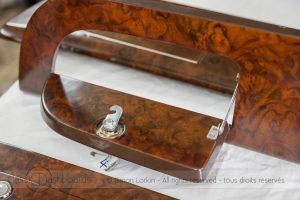 It is not easy to quote perfectly for restoration work without seeing the items in person. There are so many elements to pricing, that it would be irresponsible of me not to inspect your wooden trim before giving a precise quote, so that’s why I’m happy to provide a ‘ballpark’ figure based on the photos you provide and then provide a fixed quote when I receive the items and can really investigate them thoroughly. If you would like me to provide you with a detailed quote please send all items to me. Providing the quotation is free of charge. I only charge for the return of the items should you decide not to proceed. 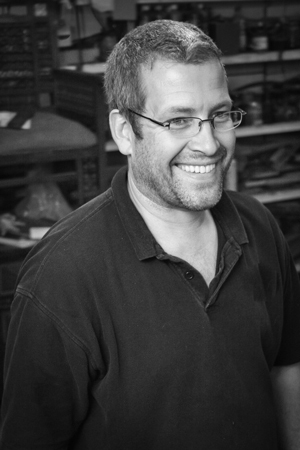 As with the pricing for the antique furniture that I restore you may find someone who is willing to do it cheaper for you, but as with many things in life ‘you get what you pay for’. 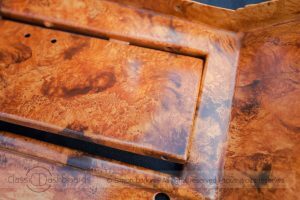 The service that I am offering is one of craftsmanship, using traditional restoration methods to breathe life into the interior woodwork of you classic car. Before commencing any work on your items I ask for a deposit of 50% of the price of the restoration work. I then ask for the remainder on completion of the work before collection or delivery of the items. For those of you that I provide a postal service, I would email you detailed photos on completion as proof of the quality of my work. For those of you that I am seeing in person then payment by cheque or cash on delivery will be necessary. For those of you who wish payments by bank transfer may be made.